Born in 1951 in Trinquetaille, part of the historic Provençal city of Arles, Christian Lacroix now divides his time between Paris and his beloved hometown. He studied art history and literature at the University of Montpellier before heading north to complete his classical education at the Sorbonne in Paris and at the prestigious Ecole du Louvre. Soon he realized that his true calling was fashion and historical costume design, not art history or archaeology. His first job was with Hermès, then with Guy Paulin in Paris, Italy, and Japan. In 1982, Lacroix was hired by the financier Bernard Arnault as artistic director of the Jean Patou couture house, a position he held until 1987, when Lacroix established his own haute couture label. His colorful, high-concept designs—which were inspired by folklore and fairy tales, French history, and the Mediterranean and included the inventive “pouf” skirt—brought him international acclaim. In 1987 the Council of Fashion Designers of America (CFDA) named Lacroix the “most influential” foreign designer. The Lacroix luxury brand would expand to include jewelry, accessories, shoes, children’s wear, and perfume, among other areas, with boutiques in London, Geneva, and Japan. While developing a name for himself as one of Paris top couturiers, Lacroix was also designing theatrical sets and costumes for the Paris Opéra Garnier and the Comédie Française as well as for the Metropolitan Opera in New York and opera houses in Brussels, Vienna, and Berlin. In the last decade he has branched out, designing the interiors of high-speed trains, boutique hotels, and movie theaters. In 2003 he designed new uniforms for Air France personnel. He also designed a number of museum exhibitions, including major retrospectives of his work as a couturier for the Centre National du Costume de Scène in Moulins, France (2006), for the Musée de la Mode and the Musée des Arts Décoratifs, in Paris (2007), and for the Musée Réattu in Arles (2008). In 2008 he was named director of the celebrated Rencontres d’Arles, an international photography festival. 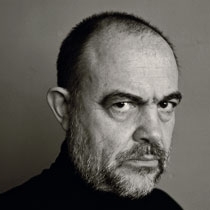 With his career as a couturier cut short at the height of the recession in 2009 as a result of the company’s bankruptcy despite critical accolades, Christian Lacroix turned his creative energy toward theatrical productions, among other arenas. His most recent theater designs include Aïda at the Cologne opera, Capuletti e Montecchi at the Munich opera, and Candide at the Berlin opera. He has begun a new collaboration with a number of German theatrical institutions, has a current project underway designing medals for the Paris Monnaie, and is hard at work finishing the interior and exterior of a network of tramways in Montpellier. In addition, he recently illustrated a new version of the fairy tale Sleeping Beauty. His latest venture is a line of furniture for Sicis—The Art Mosaic Factory, based in Italy.